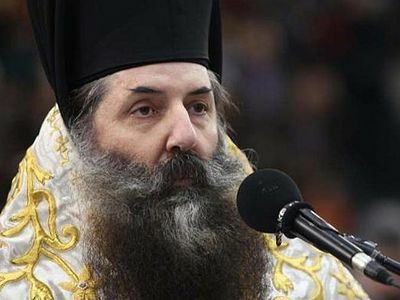 His Beatitude Archbishop Chrysostomos of Cyprus has joined the chorus of Orthodox primates and hierarchs decrying political interference in Church affairs in Ukraine. 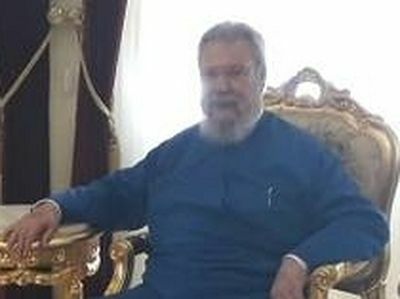 The topic was addressed during his meeting with former Russian Prime Minister and Chairman of the Imperial Orthodox Palestine Society Sergei Stepashin yesterday. “We discussed the situation that has unfolded around the Orthodox Church in Ukraine. The Archbishop of Cyprus expressed concern about the situation around the Orthodox Church and called for the strengthening of unity,” Stepashin told Interfax-Religion on Sunday. At that time he also offered the Church of Cyprus’ help in a mediating role between Russia and Constantinople. 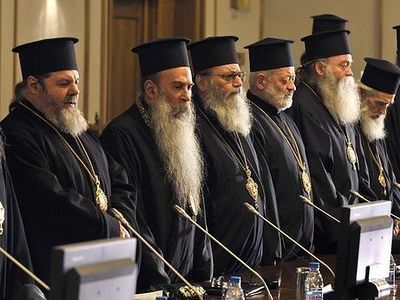 “The Archbishop of Cyprus supported the idea of holding a meeting of all the Local Orthodox Churches and spoke against political interference in the affairs of the Orthodox Church in Ukraine,” Stepashin noted. Last week, His Beatitude Metropolitan Sawa, the primate of the Polish Orthodox Church, called for the Ecumenical Patriarchate to gather a synaxis of the primates to discuss the Ukrainian issue. A new statement from the latest session of the Holy Synod of the Antiochian Orthodox Church makes the same call. The Antiochian Synod also noted the danger of involving the Church in politics, and the Bulgarian Holy Synod, His Beatitude Metropolitan Rostislav of the Czech Lands and Slovakia, His Beatitude Metropolitan Onurphy of Kiev and All Ukraine, and His Eminence Metropolitan Seraphim of Piraeus have argued the same. Moreover, the District Administrative Court of Kiev accepted on Monday the suit of the of the Non-Governmental Organization of the Rule of Law regarding the competency of the Ukrainian authorities to interfere in the activities of the Church and religious organizations. Stepashin also noted that he met with the President and Parliament Chairman during his trip, discussing bilateral relations between Russia and Cyprus and religious pilgrimages. “We also opened a stele in Cyprus dedicated to the memory of the holy Marty Elizabeth,” Stepashin added. The monument was opened in the courtyard of the Church of St. Andrew and All Russian Saints in the Nicosia District of Cyprus, reports Romfea.